With this trip you will cover the whole of the Naeroyfjord – which is a world heritage area – heading towards Gudvangen which will be your turning point at the end of the fjord. During your trip you will stop at some of the breath taking attractions and can also try and spot seals, porpoises or eagles. 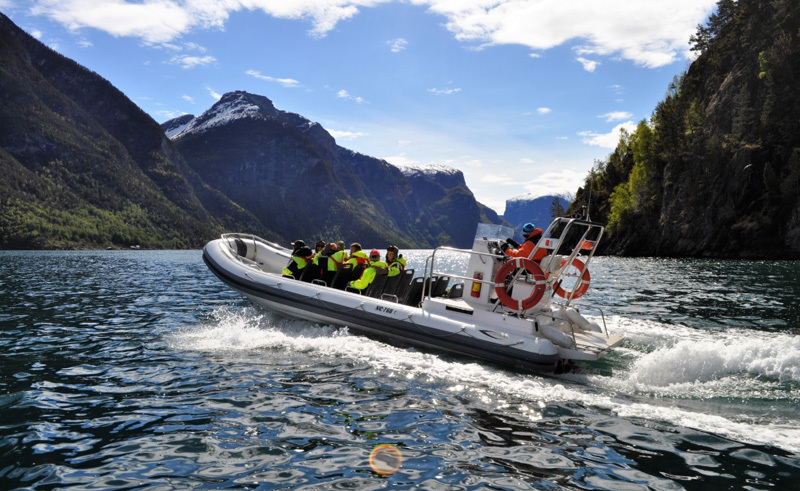 You will also be told about the fjord’s history and wildlife by your knowledgeable guide. Upon the return journey you will travel on the other side of the fjord to take in a different view and perspective.